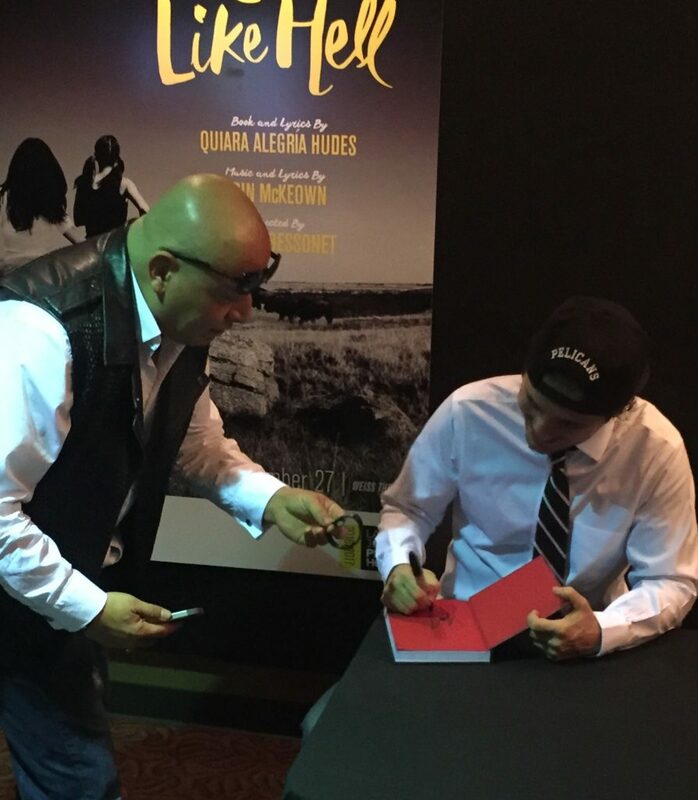 LUTL Ambassador Roberto met actor and comedian John Leguizamo after his one-man show “Latin History for Morons.” Not only did Roberto see an amazing and funny performance, but he also had the opportunity to share the LUTL message with John. Read on as Roberto shares his experience! “I was thrilled to see John Leguizamo in “Latin History for Morons” at the beautiful LaJolla Playhouse. I’ve been a huge fan since his career started and seeing him perform his latest one-man show was beyond amazing! His talent and stage presence is magical and the entire audience was smiling and laughing the entire performance. This entry was posted in The Movement and tagged #LUTL, john leguizamo, light up the love. Bookmark the permalink.